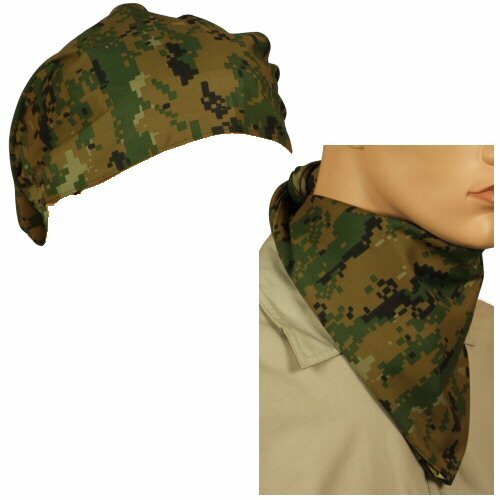 Large 95x95x123cm triangular bandana in the USMC digital woodland camouflage by Bulle. Made of nylon-cotton twill to match with the Bulle digital woodland clothing. The bandana has a variety of uses, such as a neck cloth, head wrap, face wrap, temporary rifle camouflage, emergency arm sling.